Underactive Thyroid: Is Yours Being Overtreated? Is your underactive thyroid being overtreated? 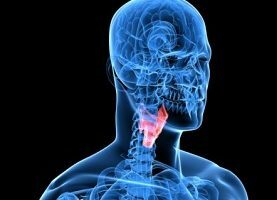 If your thyroid gland is underactive — a condition called hypothyroidism — your body produces too little thyroid hormone. Endocrinologists can make sure that you have enough of this important hormone by prescribing synthetic thyroid hormone T4 (Synthroid®, Levoxyl®, Levothroid® or another brand). Or they may prescribe a medication containing both T4 and T3, another thyroid hormone (Armour® Thyroid, Nature-Throid™, etc). To feel your best, you need the right amount of replacement thyroid hormone in your system, stresses Mario Skugor, MD, of Cleveland Clinic’s Department of Endocrinology, Diabetes and Metabolism. Your dose of thyroid hormone is based on your weight, although doctors also have to keep the eye on your blood levels because some people have problems with absorption. Be sure to report a weight gain or loss of 10 percent or more to your doctor right away, advises Dr. Skugor. This will help you avoid overtreatment or undertreatment. Yet even when you’re on the right dose for your weight, you may be getting more thyroid hormone than your body needs. Overtreatment places you at risk of developing heart arrhythmias and osteoporosis, a low bone-mass disorder that leads to easy fracturing. Whether you’re young, old or in between, don’t adjust the dose yourself if you think you’re being overtreated. Call your doctor and explain your symptoms. He or she will check your blood levels of thyroid hormone. The correct dose adjustment will soon have you feeling a whole lot better. You Think It’s Menopause, But Could It Be Your Thyroid?